Lola Balaguer-Núñez joined Gaia on the summer of 2007 as the manager of the Barcelona team in charge of the 30-people team contracts & activities, applications & reports for Spanish Ministry & European funds, accountancy, organization of meetings & workshops, planning (funds, venues, people), documentation (reports, webpages). She is also involved in smaller projects related to Gaia like the Spanish network of science explotaition of Gaia (REG) and public outreach activities at the Departament of astronomy – UB (ServiAstro). 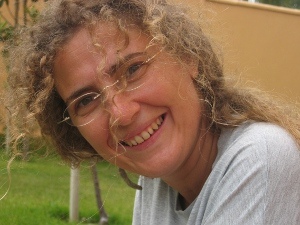 She studied Theoretical Physics and Chinese at the Universidad Autonoma de Madrid and completed her PhD on astrophysics at the Universitat de Barcelona after a world wide tour of many years: one at the Beijing Language and Culture Institute, three at the Shanghai Astronomical Observatory as the first foreign student of Astronomy in China, and some Marie Curie stays at the IoA in Cambridge. After returning to Spain she has worked as a translator, interpreter & teacher of Chinese in different universities, as a Physics lecturer at the Universitat de Barcelona and coordinating seminars and conferences at Casa Asia in Barcelona. Her research interests are related to astrometry and photometry of open clusters. Other interests include sailing, travelling, languages, literature and the Chinese history of science.